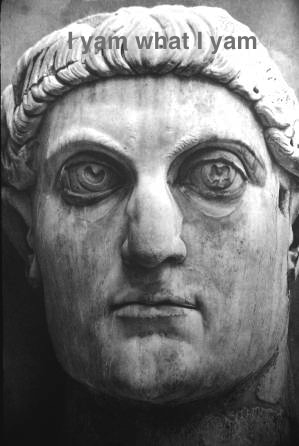 337: Emperor Constantine the Great dies, age 65, after a reign of 30+ years. After converting Rome to Chrisitanity, and founding a second empire at Constantinople, he dies before being able to collect Social Security. This music video for Team Marco Polo involved creating a fake concert stage with colored lights, animating a still image to create theatrical fog, keying green-screen footage and compositing several shots together to create the illusion of a one-man clone band!